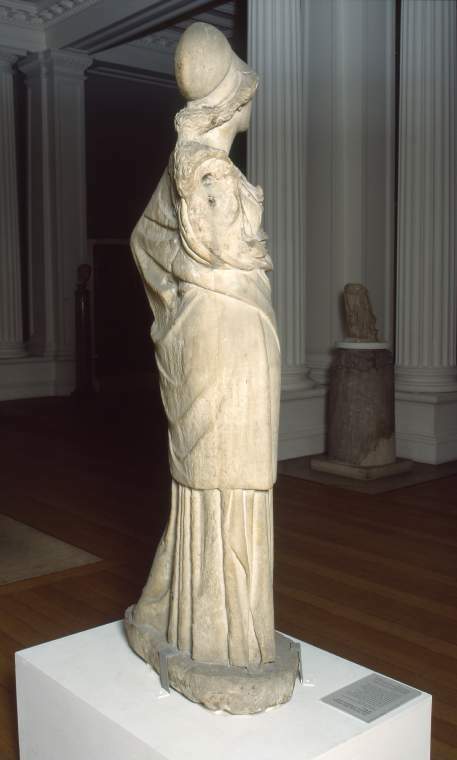 Two other almost complete figures of this type are known (the so-called 'Vescovali' Athena). All three resemble one of the figures carved in relief on a statue base from Mantineia in the Greek Peloponnese, dating to around 340 BC and associated with the sculptor Praxiteles. The relatively small scale of this figure suggests it may come from a private house. 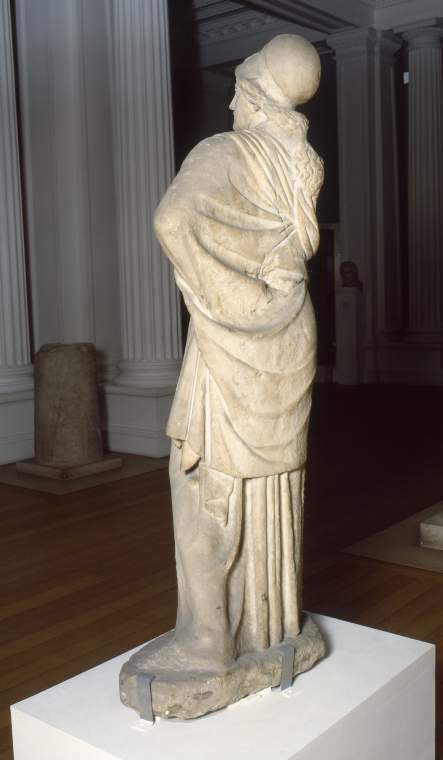 In wealthy Roman circles such a statue would have conveyed a powerful impression of its owner's taste and learning. 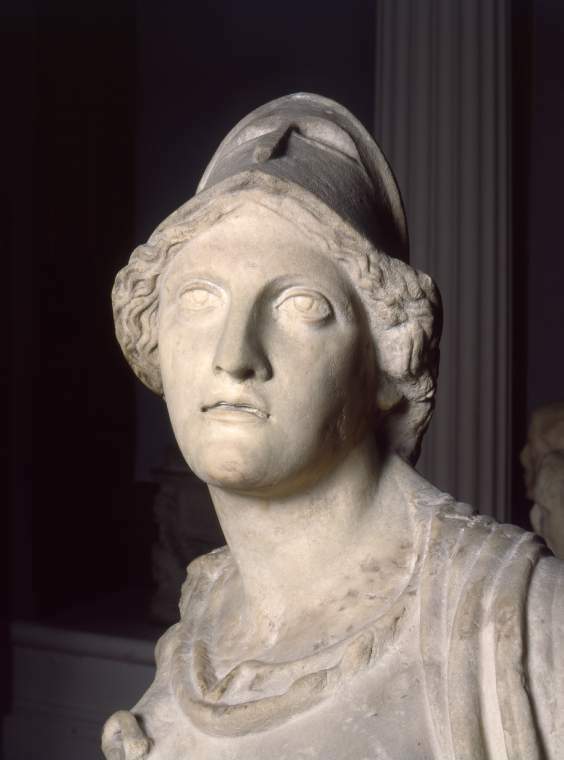 Statue of Athena. 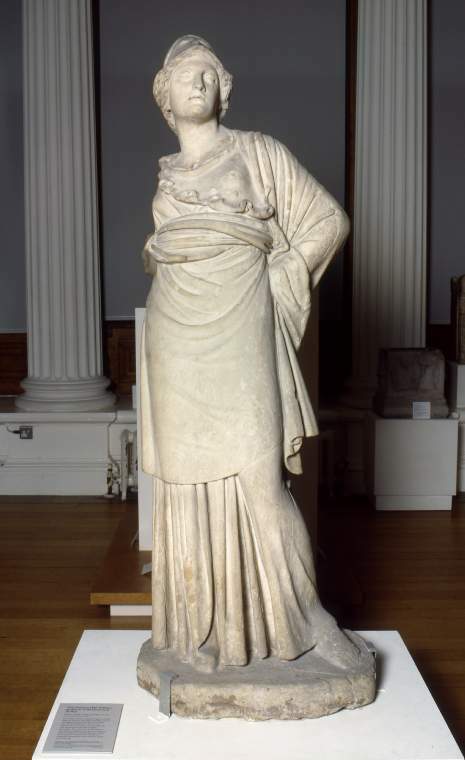 She stands with her left hand on her hip; in her (lost) right hand she would have carried a spear. 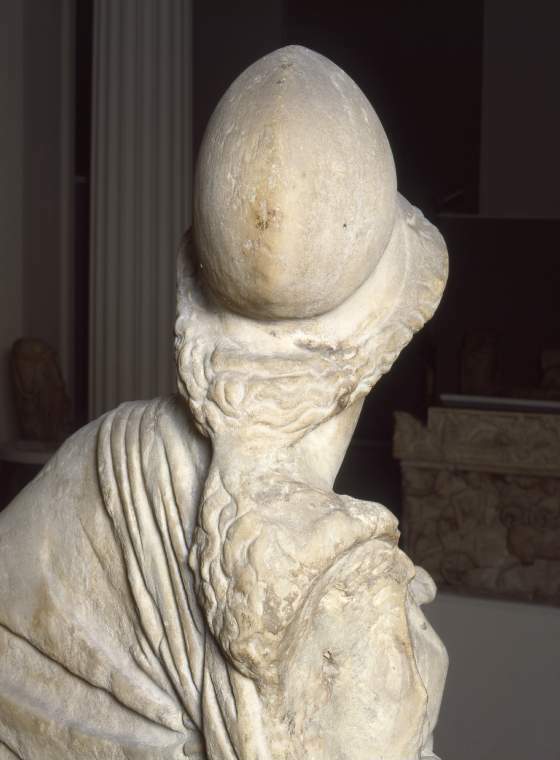 She wears a Corinthian helmet tipped back on her head, a chiton, and over it a himation that is bunched in thick folds beneath her breast, with an aegis poking out above the folds.